Keke Palmer proves your never to young to be regal in a cobalt blue trumpet gown by Rubin Singer. Christian Siriano REALLY out did himself this year. I was amazed at every gown I saw , its like the greatness never stopped. His designs scream fun and vibrant yet elegant. SN: Isn’t it amazing! 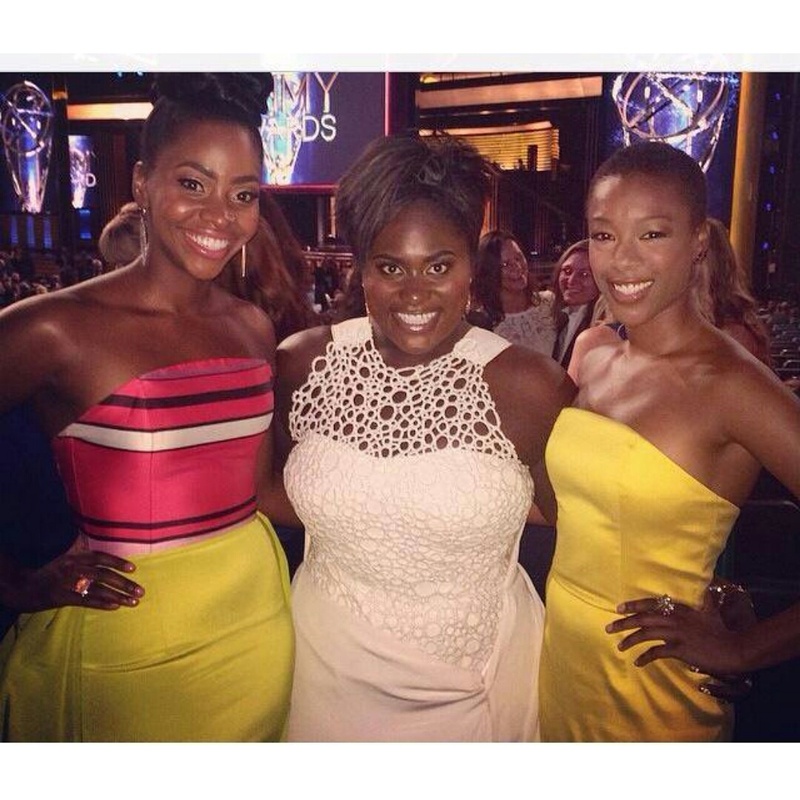 These 3 ladies went to school together, hustled for acting jobs together and now they’re all on Emmy-nominated shows and worked the red carpet together! Dreams come true people! Dream big, as big as you want! Hustle hard, pray, stay healthy and hustle and pray some more. 6 years ago these ladies were “nobodies”. Now they’re on Mad Men and Orange is the new black! Its in you , you have to work hard. Really hard. You probably know me as a singer songwriter, but I’d also like to introduce you to the flower child and kind rebel that has always resided inside of me. 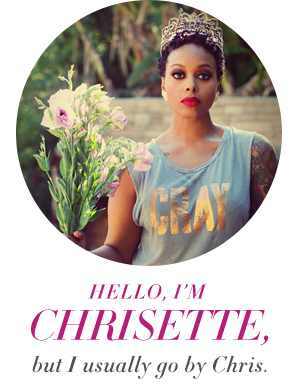 Rich Hipster is Chrisette Michele’s personal blog of art , music , Fashion and more. Since she stepped on the scene in 2006 I knew she was different , different in the sense that her voice alone takes you on a ride. 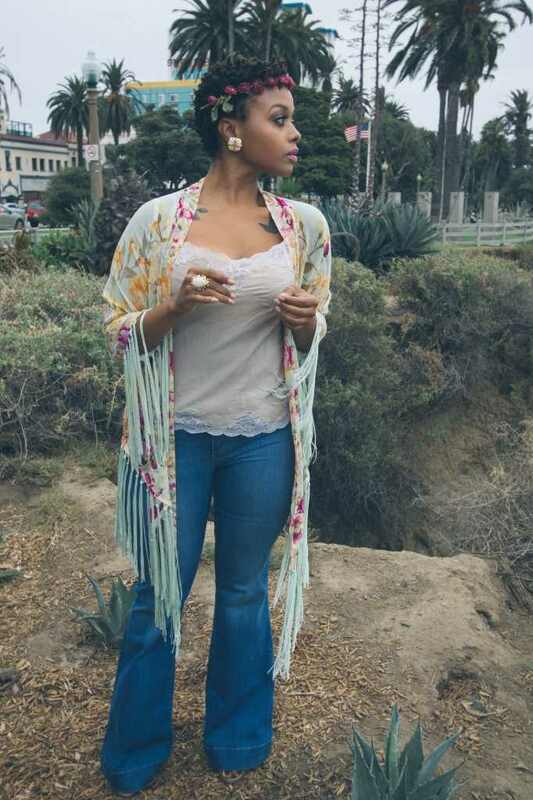 Her fashion is uniquely hippie and eccentric. 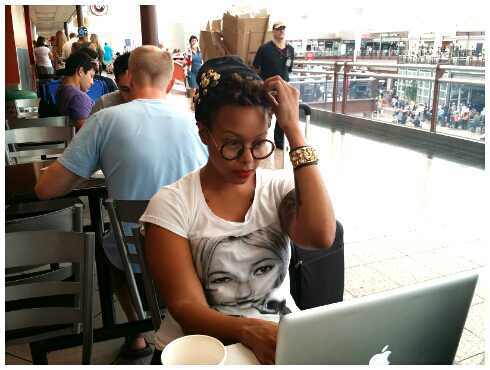 This website should be dope , im sure ill be a loyal RichHipster.biz visitor. All Hail to the QUEEN! 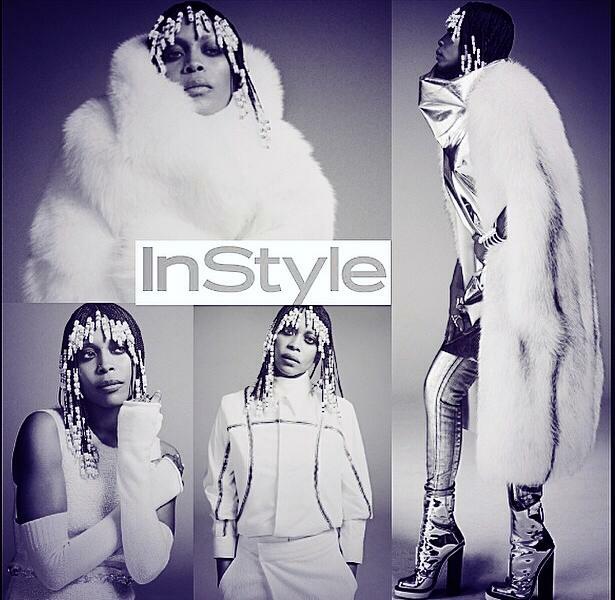 Bad A** Erykah Badu graces the pages of the September 2014 issue of InStyle Magazine. 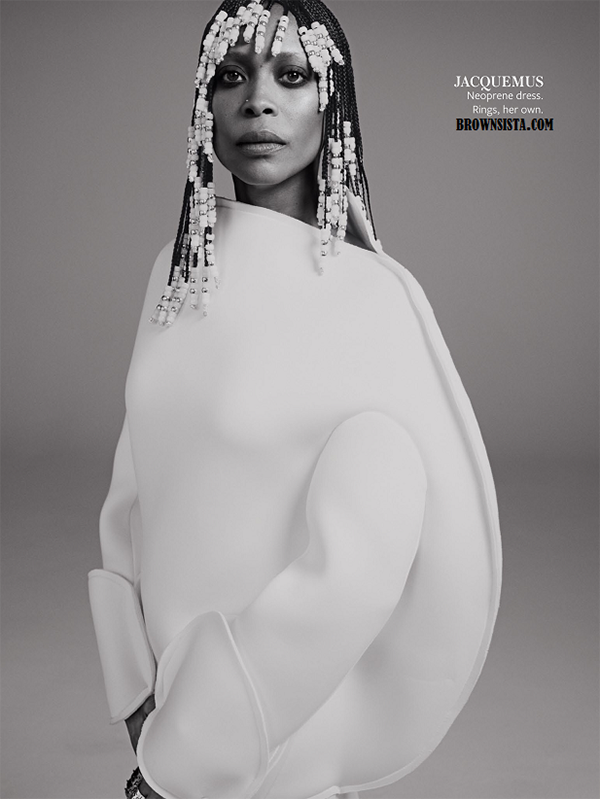 ‪ Badu can make anything look amazing. I love this woman. Ever since she stepped on the scene in 97′. It’s nothing like having your own existence, your own style. I know I have my own style and I’m not afraid to show it! but if you got your own Style come fck wit me..
Rihanna has made quite the career out of moonlighting as a musician. 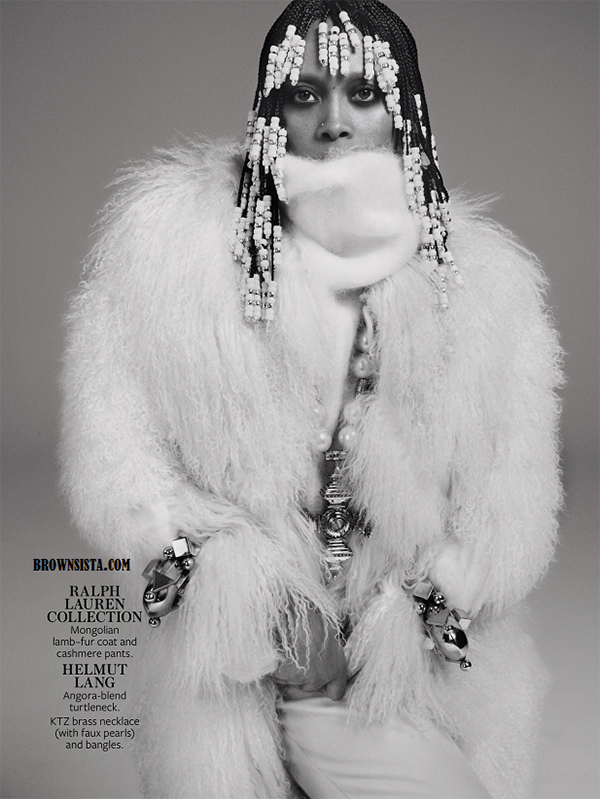 However, the model embraces her true calling in the September 2014 issue of ‘W Magazine’. She may not be able to work a stage, but oh can Ms. Fenty werk a camera! Me personally It’s a gorgeous shot, but why Rihanna? Why isn’t this Jourdan Dunn or Chanel Iman? 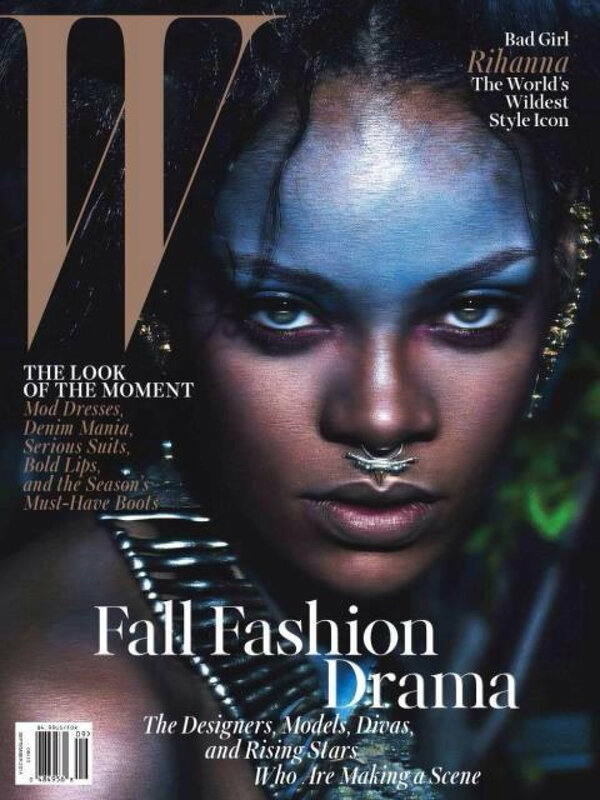 It’s a weird choice to me, especially for a notable fashion mag like W, but she is gorgeous. No hate or shade just my OPINION , She looks great, but she wasn’t needed with all that legendary fierceness in the pictures. Instagram Boutiques : Scam or Nah? 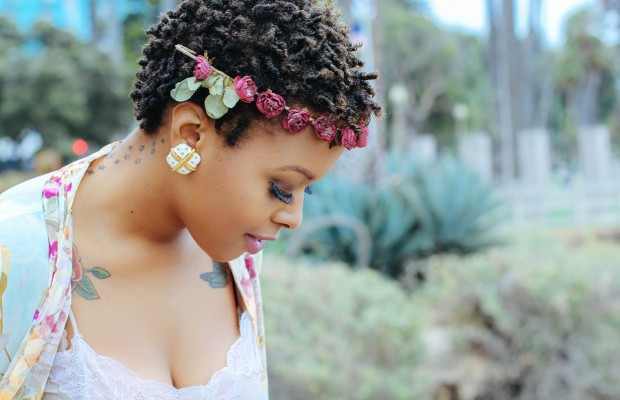 Social media platform Instagram has allowed entrepreneurial business people to bypass brick and mortar and even digital outposts, and sell reasonably priced, custom made pieces to a budget conscious consumer. But while the affordable pieces seem to be trustworthy, it seems more than a few of you have had serious issues with buying through this unregulated channel. All this scamming is really making it hard for the REAL enterpreneurs who have a legit boutique such as myself. 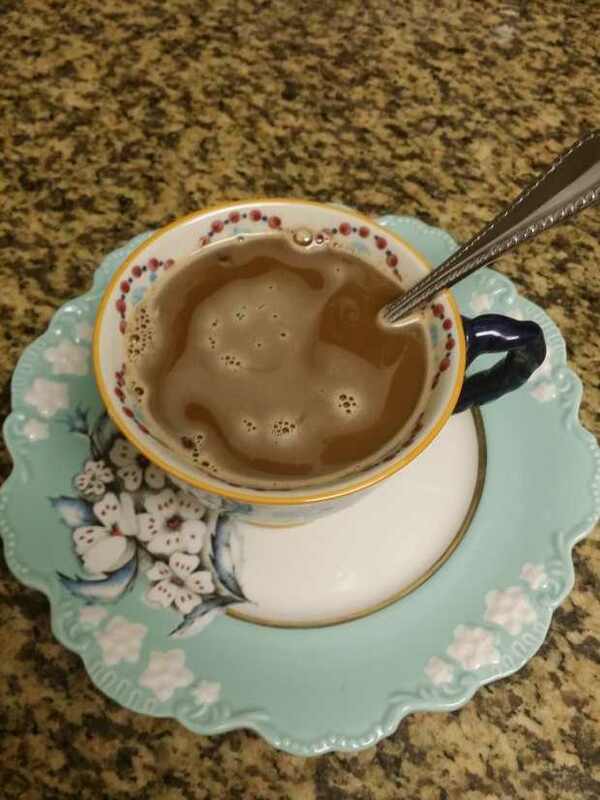 I’ve been running for my boutique almost a year but im very up front with my buyers. My business (www.eccentricglow.bigcartel.com) isn’t booming as of yet so everything is pre order BUT I DO HAVE ALL THE CORRECT LICENSES and TAX ID NUMBER TO BUY IN BULK and kill that pre order delay ;hopefully soon. 35% of the people who shop online don’t read and then complain about companies being fraudulent another 25% use Paypal to fraud real companies out of money. I wonder why. That said, do your research, look at all the comments on every post, search the store’s hashtag for any bad reviews, and make sure you ask all the questions you can before handing over your cash!